The Fashion PR team here at L.E.R. PR is pleased to see O.N.S. Clothing represented on Urban Daddy. 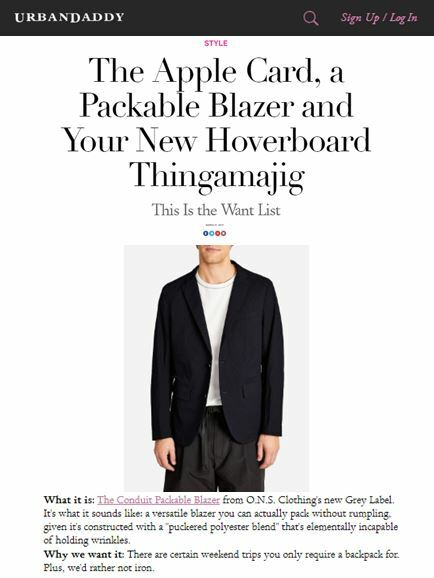 An article listing “Wants” for the spring season featured The Conduit Packable Blazer, a wrinkle-free piece that doubles as a backpack from O.N.S.’ new line, the Grey Label.